1. Pour enough salt on a small plate to cover it. 2. Rub the lime wedge on the outside rim of a 4-ounce cocktail glass. Holding the glass at a 45-degree angle, dip the outside rim in the salt, rotating as you do, so the entire rim is coated with salt. (Avoid getting any salt inside the glass.) Fill the glass with ice and place it in the freezer to chill. 3. Add the tequila, triple sec, and lime juice to a cocktail shaker and fill the shaker halfway with ice. Shake vigorously until the outside of the shaker turns frosty. Strain the margarita into the chilled glass and garnish with a lime slice. Experiment with simple to spectacular shapes for a crowd-pleasing look. Slice the lime into 1/2-inch rounds, cube them, and muddle them in an Old-Fashioned glass or small tumbler with the sugar. Add a couple of ice cubes. Pour in the cachaça. Serve with a stirring rod. Thanks to Food & Wine for sharing this recipe. In a cocktail shaker, muddle the cucumber and cilantro leaves. Add ice and the vodka, lime juice and Simple Syrup and shake well. Double strain into an ice-filled collins glass, stir in the club soda and garnish. Add ingredients to a mixing glass. Fill the glass with ice cubes and stir for about 30 seconds. Strain contents into a chilled cocktail glass. Many versions of this recipe call for shaking, which makes sense given there is a non-spirituous ingredient. But there’s so little lemon juice, I find shaking unnecessary. You just want the faintest hint of citrus — the squeeze of a wedge or a bar spoon’s worth. Made with Punt e Mes, a sweet vermouth made with bitter chinchona bark, this version of the Leap Year is punchy and sweet up front, and then finishes with flavors of bitter herbs and orange peel. Food and Wine gives us 15 great tips for pairing wine and food. 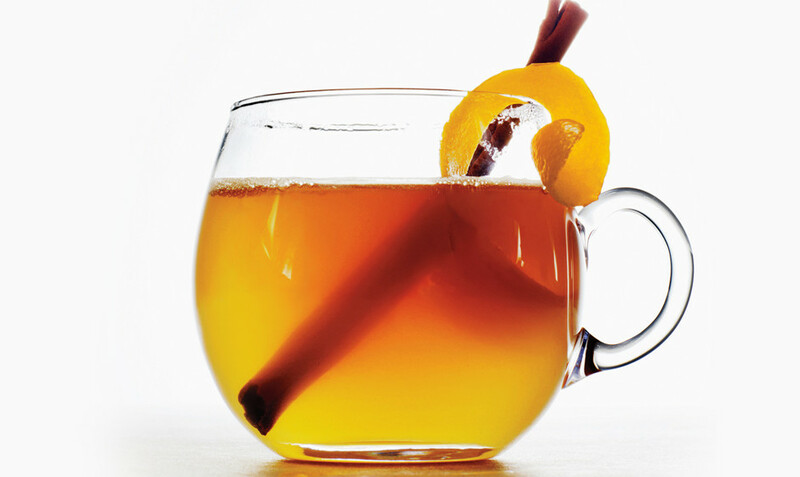 Bon Appetit magazine teaches us how to make a Honey Bourbon Hot Toddy. Yum!